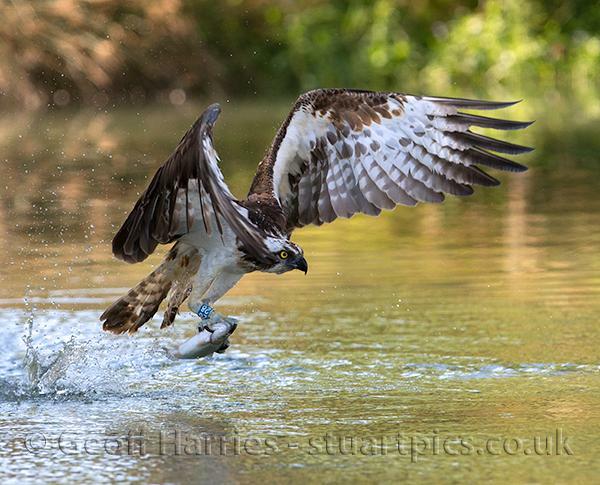 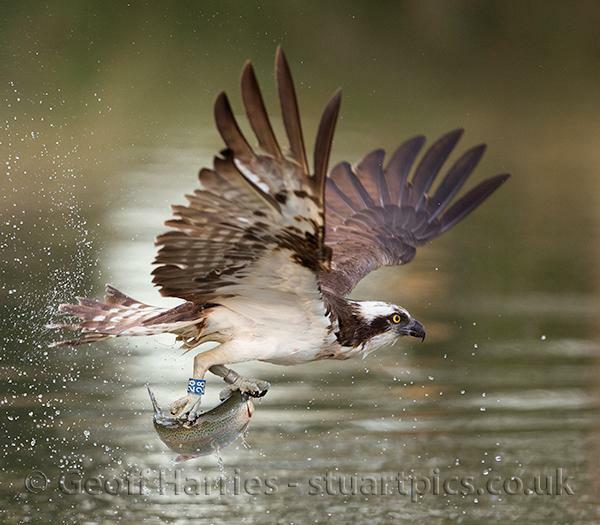 Osprey 28 is the star fishing bird, catching 5-6 fish a day at Horn Mill to provide food for his young and partner as well as good photo opportunities. 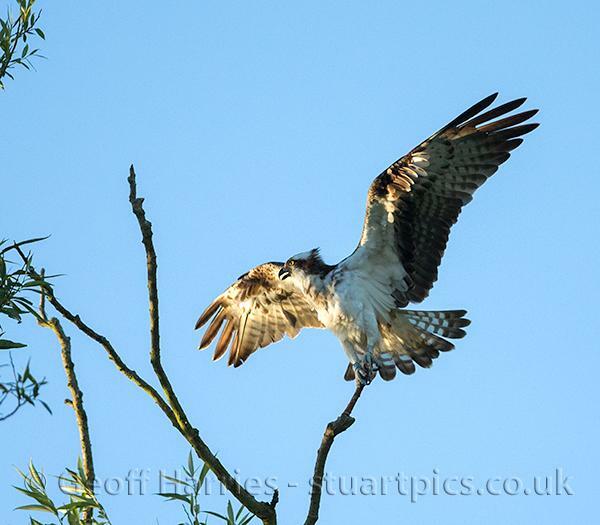 The image in the tree shows 28s reaction to another bird trying to fish in his territory. 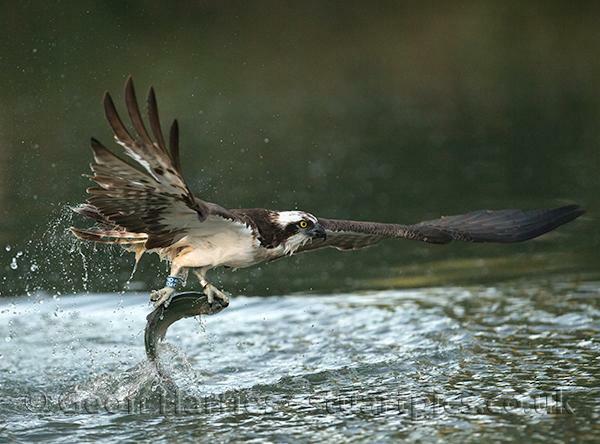 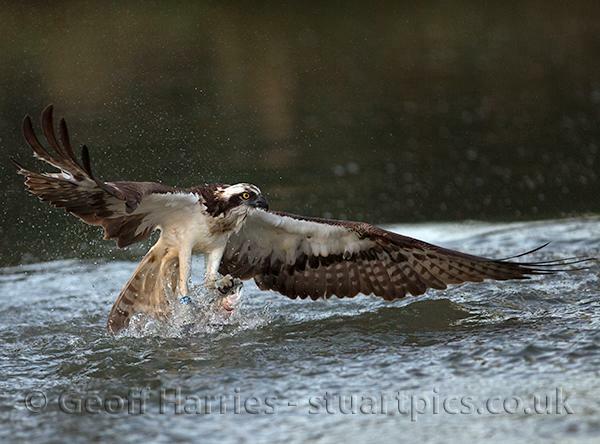 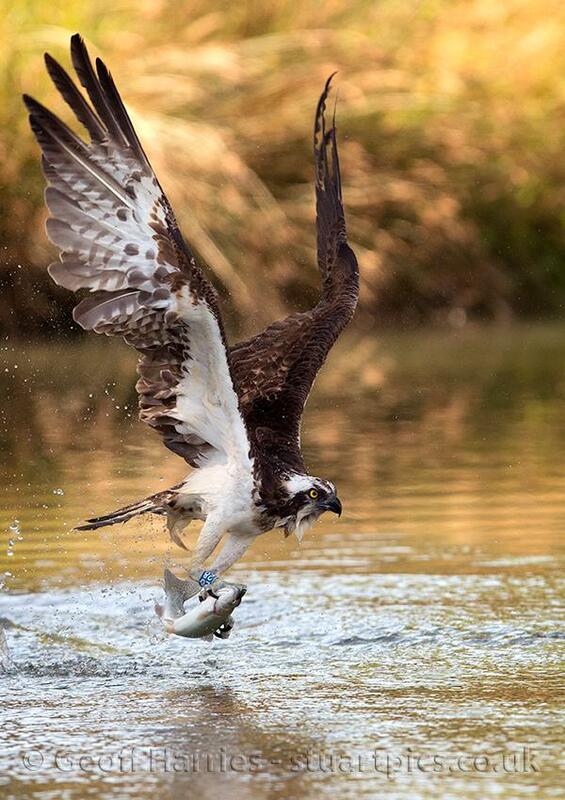 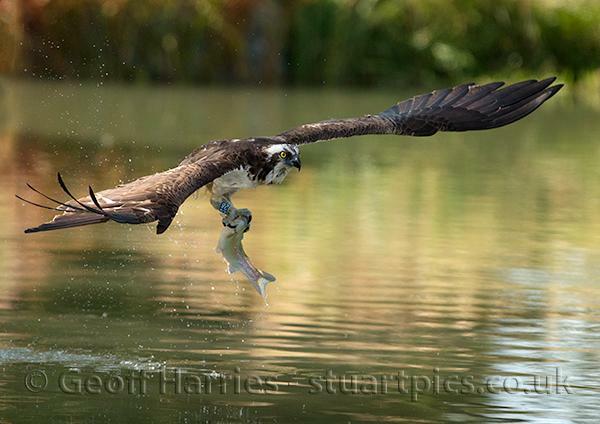 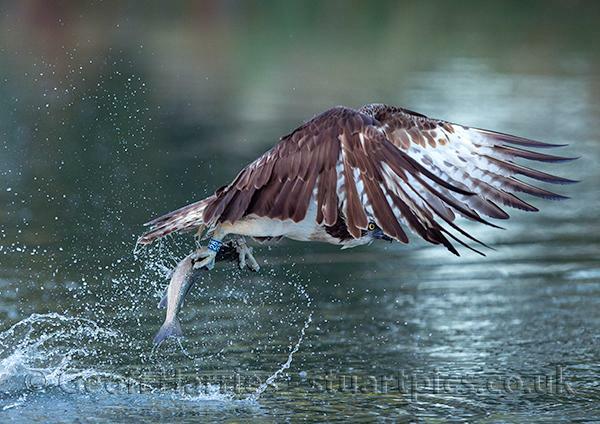 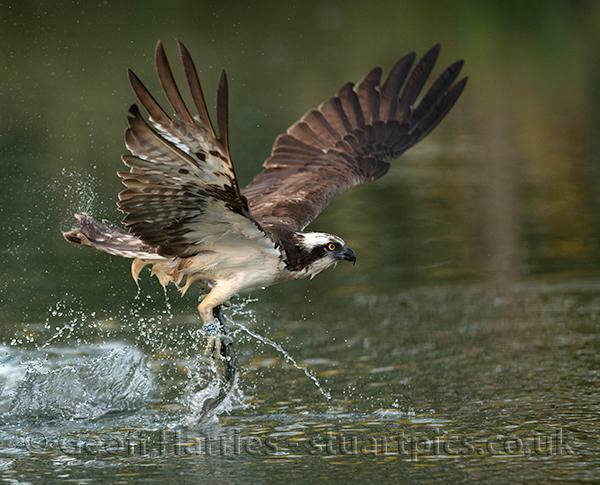 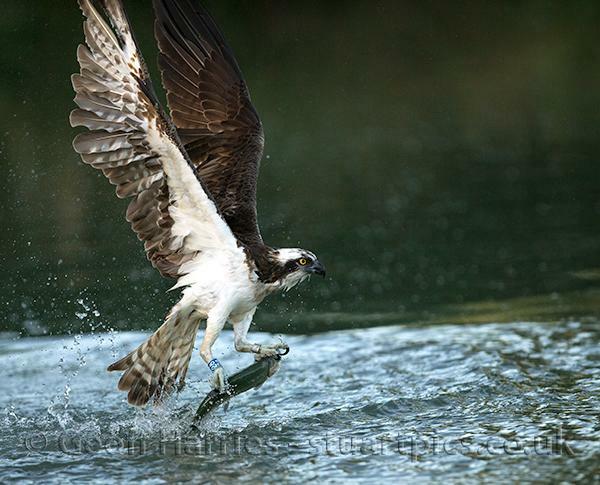 Each splash by the ospreys is different and unpredictable as to where they will dive and if they get a fish. 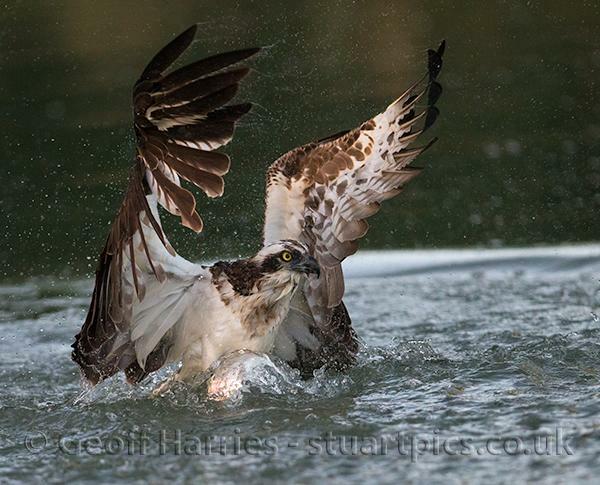 That’s the attraction of photographing ospreys, trying to capture good images in the 3-5 seconds they take to catch a fish and fly off.